Restaurants have very specific insurance needs compared to that of other types of businesses. There are varying factors that can be brought into a suit in the event of a claim. Each restaurant is different and has varying degrees of risk. We will discuss some of the common claims types and coverage options to protect you if you have a claim. There are so many different types of restaurants and there is no one size fits all policy for all restaurant types. Restaurants have a large array of needs for insurance. It is important that you sit down with an insurance professional and discuss all of the liability exposures you may face. We will discuss some of the more common policy types that restaurants choose to cover themselves with. You should choose a comprehensive general liability policy sometimes referred to as a BOP(Business Owner’s Policy) for your restaurant. You want to make sure you are covered adequately for most perils. BOP policies offer many endorsements that can be added to your policy to lower the likelihood of an uncovered peril. Any acts of dishonesty by one of your employees are covered under a crime policy. In many cases, this can be added as an endorsement under your general liability policy. These policies will pay out for losses you have incurred due to some of the following types of crime insurance. If your restaurant sells alcohol of any kind, you need to have a liquor liability policy in force. Your general liability policy will exclude this type of loss. If a suit comes back in any way against an over-served patron it will also likely fall back on your establishment. Remember, your employee doesn’t even need to be negligent for you to get sued. A liquor liability policy will pay the costs to defend you as well. Discounts are often available if you have completed training with your staff on reading the signs of an inebriated customer. We recommend taking classes for this outside of just the discount offered. Restaurants have quite a bit of business property that would need to be insured. You should do a personal inventory of the items that would need to be replaced in the event of a loss, say a fire. Even if you don’t own the building you operate out of, you still want to be covered for any interior permanently attached equipment. You may have sank quite a bit of money into what they call improvements that would need to be insured to put you back where you were before the loss. Claims for workers compensation are not uncommon in this industry. Slips and falls are common, as are kitchen accidents. In NC, a business with 3 or more employees, including the owner, is required by law to carry workers compensation insurance. Workers compensation pays out not only for the medical bills of an injured employee, but it also covers any lost time at work. These expenses can get quite expensive and with the likelihood of a claim, workers compensation is essential. Many restaurants do outside catering and have a need for commercial auto insurance. This policy will cover any liability that results while a vehicle is being used for business use. Damage to the vehicle will also be covered if physical damage is chosen as well. In some cases, where an employee’s vehicle is being used instead of a restaurant owned vehicle, a non-owned auto endorsement would need to be added to the policy to cover that specific vehicle. Business income is insurance that covers you for lost income due to a covered peril. If you had a fire and had to close your doors for several weeks or months to complete the repairs, could you withstand the loss of income? Your expenses such as salaries, rent, and taxes will still need to be paid even if you lose all of your income. A business income policy will assist in keeping you afloat during this time. Cyber liability if one of the fastest growing insurance types. You will be handling customers payment info and if that were to get into the wrong hands it can be very expensive if a claim were to arise. 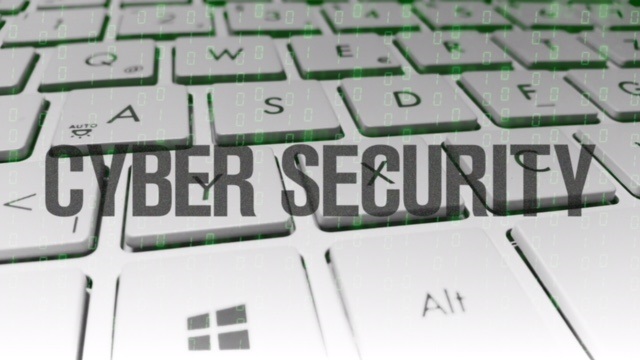 For a more detailed listing of what is covered in cyber liability please view my blog from a couple of months ago on the subject. You can also purchase a blanket umbrella liability insurance policy that will kick in and pay up to the limit of your choosing once the underlying limits for policies listed above are exhausted. Your commercial umbrella carrier will want to be made aware of any policies under the umbrella that will be covered. You will also have to meet the minimum underlying limits on those policies to meet the umbrella policy requirements. You can see that restaurant insurance can be quite complicated with various types available. It is important to discuss your specific needs with an insurance expert in this industry. Please feel free to call us at 704-494-9495 and discuss any questions you may have with an agent specialized in restaurant insurance. 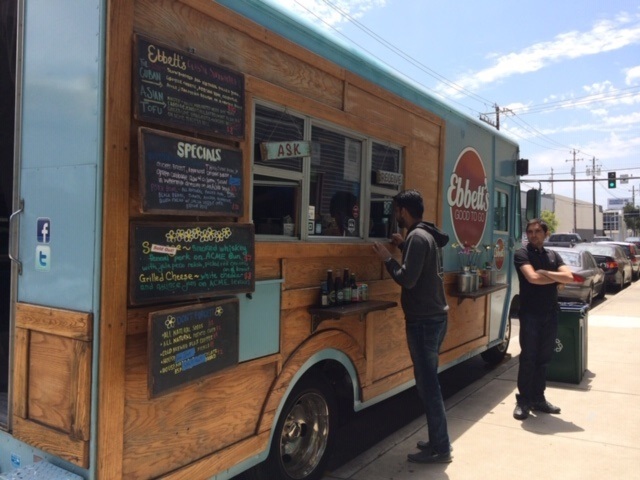 One type of insurance that has grown significantly over the last decade is for food truck businesses. If you run a food truck in NC or are thinking about starting up a business in the industry, then you will have several insurance policy coverages to consider. We have various carriers that specialize in these policy types and we can offer the most competitive rates in the market. We will discuss some of the most common policy types that you will want to protect you and allow you to complete contracts. Auto liability on a food truck is similar to a personal auto insurance policy and it will pay out in situations where you are involved in an incident while driving your food truck. If you hit a vehicle, person, or other object, your auto liability policy will pay for the bodily injury or property damage of the injured party. You can also include comprehensive and collision coverage, medical payments, etc along with your auto liability policy as you would your personal auto policy. Auto liability limits chosen maybe be split limits like $100,000/300,000/50,000 or combined single limits of $1,000,000. The limits you choose will want to meet your minimum threshold to protect yourself and the limits being required by a contract. A general liability policy will pay out for losses outside of negligence while driving your vehicle. This could include claims of illness from the food that you serve or an individual being injured around your truck. Typical limits for a general liability are $1,000,000 per occurrence. This is a common requirement if you plan to sell food in a public place. 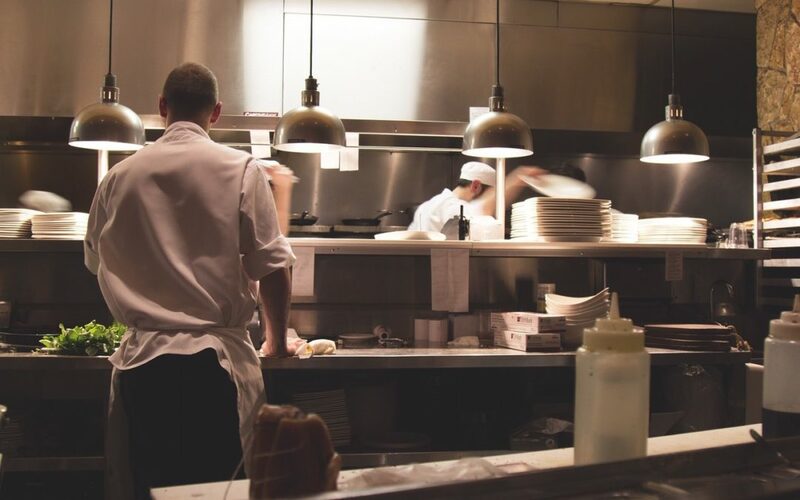 Any business property that you use to serve, prepare, and deliver food should also be covered if you want protection for losses from fire, theft, or other losses. Your auto liability will likely have a cap on any of these items, even if they are permanently attached to the vehicle. Business personal property can included grills, coolers, products, and cash registers. If you hire employees in your business, then you will also want to make sure that you have a worker compensation policy in effect. If your employees are injured in a workplace accident you can be sued not only for their injuries, but for their lost time at work. There are laws in place that require workers comp coverage for your employees. In NC the minimum required limits for workers compensation is $100,000 each employee, $100,000 each accident, and $500,000 for the policy limit. You can increase these limits up to $1,000,000 for a nominal price increase. If you serve alcohol, you will want to carry a liquor liability policy. These policies payout on claims that result from injuries caused by intoxicated patrons served by your establishment. Aside from protecting yourself from catastrophic claims and being sued for losses, you will likely encounter a need for insurance due to contract requirements. NC counties, especially Mecklenburg County, have stringent insurance requirements for food trucks and vendors. In order to meet their requirements, you will need to prove that you have the minimum requirements by presenting an insurance certificate. It is not uncommon to see requests for insurance from other entities like building owners, landlords, restaurants, and festivals. Some final thoughts on compiling food truck insurance quotes. It is important to understand that you don’t need to combine all policy coverage types under one policy or carrier. In some cases, bundling these coverages under one policy can be beneficial. In others, it can cost you more. You have to understand that sometimes insurance companies may offer you a lower rate on one coverage type, say auto liability, but make up for it by charging a higher premium on another policy type, say collision. It is best to let an experienced insurance agent peruse all of the companies at hand and possibly piecemeal these coverages together if it makes more financial sense for you. Also, it is best to be prepared and present the needed information when getting quotes so you won’t have to go back and forth with the agent. Below are some of the questions you may be asked when requesting quotes. Please let us know if you have any other questions regarding insurance for food trucks and trailers. Our expert agents are here to help. A workers compensation audit is an inevitable part of all workers compensation policies. While many other commercial insurance policies may require them as well, it is not always done in every case. These policy types can include commercial general liability, commercial property, commercial auto, professional liability, etc. With a workers compensation policy, you can count on an audit being done for each policy term. A lot of our clients may feel overwhelmed by these audits at first. However, after completing their first audit, they become less daunting in the future. The purpose of these audits is to accurately assess the correct premium based on the actual payroll versus the payroll that was estimated at the beginning of the policy term. Quite simply, if you overestimate your payroll, then you will receive a refund. If you underestimate your payroll, then you will receive an additional premium bill. Coming up with an estimated payroll, in almost every industry, is really just a best guess. There are several factors that may cause your payroll to go up or down. In addition to assessing the correct payroll, the workers compensation company will want to confirm that the correct class code is chosen for that business. Class codes are the best description given to the actual work being done by that business. For some businesses, the actual class code is easy to determine. For others, it can be a little more tricky and the insurance company will have to accurately assess the risk based on the day to day work being done. In some cases, one business may have several class codes. This is seen very often with construction companies where they may have painters, electricians, concrete construction, tiling, plumbing, HVAC, roofing,etc. Businesses with multiple class codes will want to separate their payroll based on these different classes or they will likely face their total payroll being lumped into the most expensive classification. Class codes can range in scope from very expensive to extremely inexpensive. One of the lowest and most inexpensive class codes is clerical office employees. One of the most expensive classes is for roofers. The reason for this discrepancy is due to the risk level involved in each line of work. Not only will these rates be determined due to the chances of an accident, but also the severity of the accident. The more severe the accident, the more that worker will need more money to pay for medical bills and the longer he/she will be out of work. Their are certain records will you need to produce to show the proper documentation in completing your audit. You should know what payroll will be picked up on your premium audit. Who will be included in my payroll? 1. Anyone that you paid as a W2 employee will be counted as payroll. 2. Any 1099 subcontractor that your business paid that you did not receive their workers comp certificate of insurance from. 3. Owners that have not rejected coverage as either owners, officers, members, etc where allowed by law. Every state has different workers compensation laws and you will need to discuss with an insurance professional the laws within your state. You will also need to confirm if your workers compensation policy in the state where your business resides will cover you while doing work in another state. For instance, in NC, a policy purchased here will not cover even 1 employee that would be doing work in FL. Not even temporarily. It is very important that you discuss this with an agent before beginning work in another state. The penalty for not doing so can result in large fines from the state or you being responsible for paying out in the event of a claim if it is denied by your insurance company. In closing, don’t let the workers comp audit scare you. As long as you maintain accurate records, you will be fine. 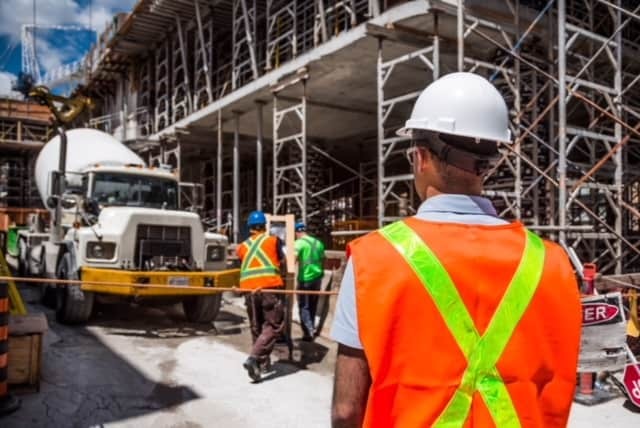 We strongly urge our clients to not let any 1099 subcontractors do any work for you, without first getting a copy of their own workers compensation certificate. An audit can actually be a good thing. For a lot of our clients, they see a refund at the end of their audit term. This is a welcome surprise and it is a much better feeling then being hit with a large additional premium because you didn’t adequately plan or keep accurate and ongoing records. If you have any further questions on this subject or on workers compensation policies in general, please feel free to give one of our friendly commercial agents a call at 704-494-9495. Cargo insurance is a rapidly growing industry in NC. Due to the increased popularity of Amazon delivery, package delivery has increased by quite a bit in the last couple of years. This coupled with freight delivery of all kinds, has increased a need for more cargo insurance companies. We have an expertise on trucking insurance of all kinds. 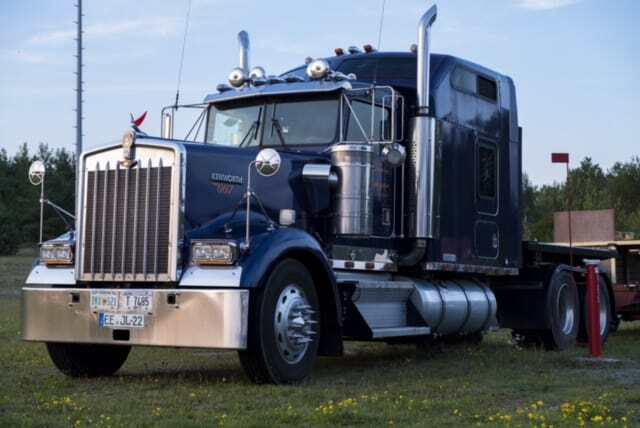 There are several factors that you should focus on when choosing the correct insurance coverage and commercial trucking insurance company. You will want to make sure the insurance company that you go with can offer you your required limits at competitive premiums. Auto liability will cover anyone that you hit while driving your commercial truck. The weight of your truck, the radius that you are traveling, and the type of goods you are hauling will all impact the minimum insurance requirement for auto liability. The most common limit though when crossing state lines, is $750,000 per the Federal Motor Carrier Safety Administration (FMCSA). Keep in mind that your contract may require higher limits than the minimum FMCSA limits. Even if your contract doesn’t require it, you may want to consider higher limits to protect yourself further. Cargo liability will cover damages to the goods you are hauling due to your negligence. The FMCSA also has cargo liability requirements for certain trucking risks. If you aren’t required to have this per the FMCSA, you likely will with any contract you enter into. We typically see a minimum cargo liability requirement of $100,000. A similar coverage type is On Hook Liability which is more common on towing and auto hauler risks. If requesting On Hook Liability coverage on auto haulers, be careful, as there are certain coverage gaps when choosing this policy type. The premiums are usually less expensive, but you don’t want to be caught without the correct coverage. A lot of contracts will require you to have a General Liability policy in force. This will cover claims outside of anyone you hit or damages to the freight you are hauling. Claims on these policy types are less common but they still can occur. Losses for general liability can occur for delivery errors, driver negligence while loading or unloading, libel, and slander. A typical required limit of liability on this coverage is $1,000,000. Premiums for this coverage type are generally the lowest of the commercial cargo trucking polices. For questions of any kind on commercial cargo insurance, please feel free to give us a call at 704-494-9495. We can also offer free quotes with all of our various commercial trucking insurance carriers.